Caroline Fredrickson's debut book "offers up fixes for this broken, exclusive system." Read a piece by Caroline Fredrickson on how the legacy of slavery and prescribed gender roles continues to rob millions of their fair share. 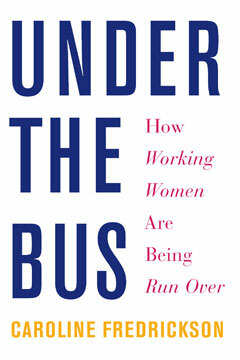 Caroline Fredrickson argues that "workplace laws threw women of color under the bus from the beginning, but we will all get run over if we don't reinvent our system to get everyone on board" in her piece for HuffPost Women.